Gourmet Girl Cooks: Breakfast Idea -- Happy Saturday! Happy Saturday! Today I am going to continue my experimentation with perfecting my grain free stuffing recipe. I decided I'd start this beautiful, chilly Saturday morning with a good breakfast! 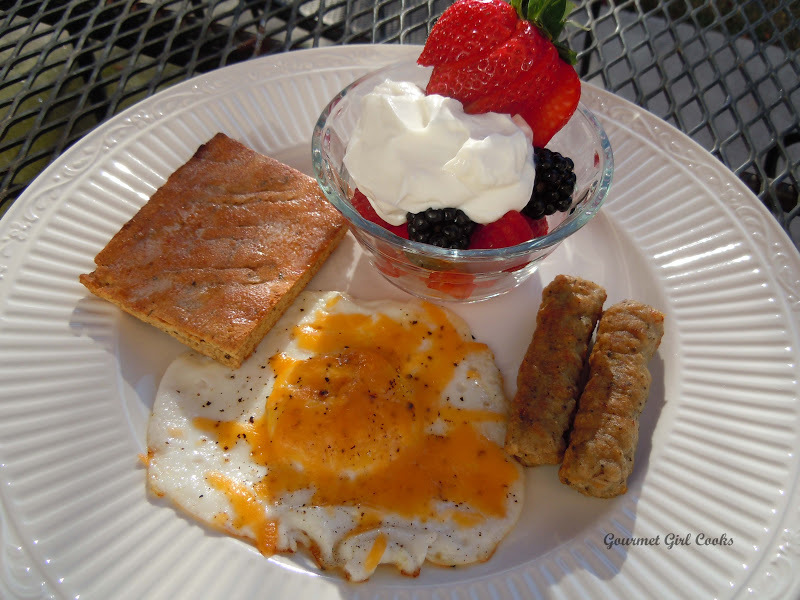 I made myself a fried organic cage free egg topped with a smidgen of grated cheddar cheese along with 2 organic/nitrite free chicken and sage sausages (by Applegate) and some fresh berries topped with a dollop of Greek yogurt (raspberries, blackberries and strawberries). I toasted a piece of my grain free "stuffing bread" leftover from my grain free stuffing recipe I made this past week. I have to say, I actually like it better as a side of "toast" than I did in the stuffing recipe. I'm enjoying a cup of "Eight O'Clock" hazelnut coffee with my breakfast this morning which tastes unusually good on this nippy Saturday morning. 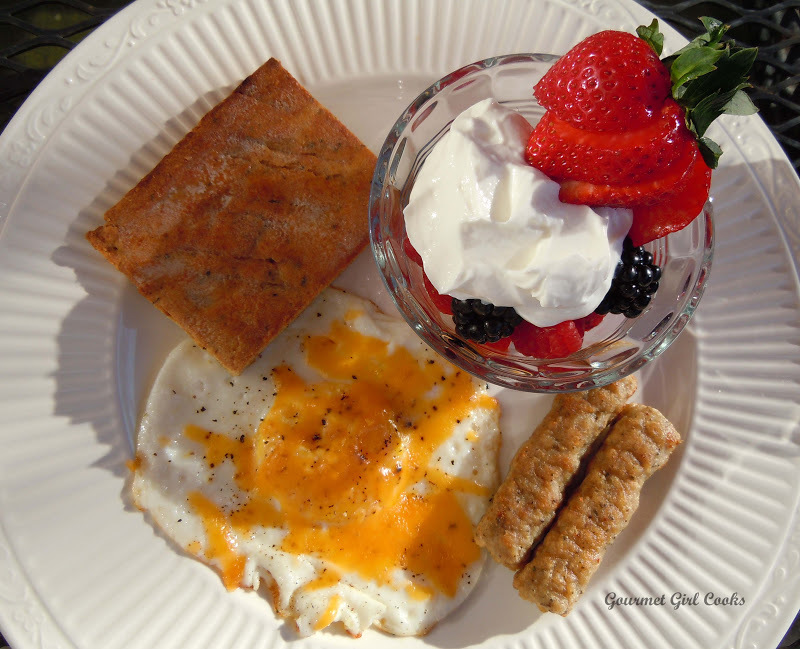 Weekend breakfasts are always more special since I have more time to prepare them than I do during the work week when I usually just have a cup of plain Greek yogurt with cinnamon and stevia for breakfast. I am getting ready to hit the kitchen again and give the stuffing bread another try...wish me luck! ;-) Enjoy!